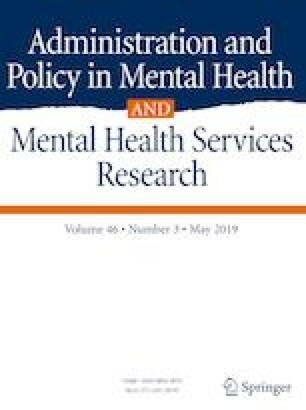 This qualitative study describes how Medicaid policies create challenges for the delivery and receipt of mental health treatment for low-income youth in Georgia. We conducted focus groups with caregivers of Medicaid-enrolled children with ADHD and semi-structured interviews with providers and administrators at four safety net clinics that provided mental health care to these youth. Stakeholders reported that prior authorization policies for psychosocial services, restrictiveness of preferred drug lists, and changes in preferred drug lists in Medicaid plans created barriers to treatment continuity and quality for youth with ADHD and led to more administrative burden for safety-net clinics serving these youth. An early analysis of this paper appeared as a poster presentation at the 2016 Academy Health Annual Meeting in Boston, Massachusetts. The authors would like to thank parents, providers, and administrators for their participation in this study. We are also grateful to Rachel Stover and Lucy Rabinowitz for their assistance with this project. This work was supported by a grant from the National Institute of Mental Health (Grant No. K01MH095823, PI Janet R. Cummings). The content is solely the responsibility of the authors and does not necessarily represent the official views of the National Institutes of Health. Dr. Blake declares that she has no conflict of interest. Ms. Song declares that she has no conflict of interest. Dr. Gaydos declares that she has no conflict of interest. Dr. Cummings declares that she has no conflict of interest. All procedures performed in this study involving human participants were in accordance with the ethical standards of the Emory University Institutional Review Board and with the 1964 Helsinki declaration and its later amendments or comparable ethical standards. Centers for Medicare and Medicaid Services (CMS) (2014). Managed care in Georgia. Retrieved from https://www.medicaid.gov/medicaid-chip-program-information/by-topics/delivery-systems/managed-care/downloads/georgia-mcp.pdf. Centers for Medicare and Medicaid Services (CMS) (2016). Covered outpatients drugs final rule with comment (CMS-2345-FC) Fact Sheet. Retrieved from https://www.medicaid.gov/medicaid-chip-program-information/by-topics/prescription-drugs/downloads/drug-fact-sheet.pdf. Children’s Defense Fund (2018). Child poverty in America 2017: State analysis. Retrieved from https://www.childrensdefense.org/wp-content/uploads/2018/09/Child-Poverty-in-America-2017-State-Fact-Sheet.pdf. Georgia Certified Peer Specialist Project (GCPSP). CPS Job Description, Responsibilities, Standards, and Qualifications. Retrieved from http://www.gacps.org/JobDescription.html. Georgia Department of Community Health (GDCH). (2013). Georgia Department of Community Health Medicaid fee-for-service pharmacy prior authorization request process guide. Retrieved July 20, 2018 from https://dch.georgia.gov/sites/dch.georgia.gov/files/related_files/document/PA_process_guidelines-04-15-13.pdf. Georgia Department of Community Health (GDCH) (2018). Preferred drug lists. Retrieved from https://dch.georgia.gov/preferred-drug-lists. Honsberger, K., & Van Landeghem, K. (2017). State Medicaid managed care enrollment and design for children and youth with special health care needs. National Academy for State and Health Policy. October 2017. Retrieved from https://nashp.org/wp-content/uploads/2017/09/50-State-Scan-Issue-Brief.pdf. Kaiser Family Foundation (KFF) (2016). Total Medicaid managed care enrollment. Retrieved from https://www.kff.org/medicaid/state-indicator/total-medicaid-mc-enrollment/?currentTimeframe=0&sortModel=%7B%22colId%22:%22Location%22,%22sort%22:%22asc%22%7D. Kaiser Family Foundation (KFF). (2017). Ten things to know about Medicaid’s role for children with behavioral health needs. June 2017 Fact Sheet. Retrieved from http://files.kff.org/attachment/Fact-Sheet-10-Things-to-Know-About-Medicaids-Role-for-Children-with-Behavioral-Health-Needs. Kaiser Family Foundation (KFF) (2018). Total Medicaid MCOs. Retrieved from https://www.kff.org/other/state-indicator/medicaid-enrollment-by-mco/?currentTimeframe=0&sortModel=%7B%22colId%22:%22State%22,%22sort%22:%22asc%22%7D. Lilienfeld, M. (2016). Medicaid outpatient prescription drugs. November 30, 2016. Retrieved from http://www.healthlaw.org/component/jsfsubmit/showAttachment?tmpl=raw&id=00Pd000000fidCaEAI. MACPAC (2017). Medicaid payment for outpatient prescription drugs: Issue Brief. March 2017. Retrieved from https://www.macpac.gov/wp-content/uploads/2015/09/Medicaid-Payment-for-Outpatient-Prescription-Drugs.pdf. National Alliance on Mental Illness (NAMI). (2011). Managed care, Medicaid, and mental health: Resource guide. Retrieved from https://www.nasmhpd.org/sites/default/files/ResourceGuideWhatIsMC.pdf. National Conference of State Legislatures (NCSL) (2011). Health cost containment and efficiencies: NCSL briefs for state legislators. Retrieved from http://www.ncsl.org/documents/health/IntroandBriefsCC-16.pdf. Young, K., & Garfield, R. (2018). Snapshots of recent state initiatives in Medicaid prescription drug cost control. Issue Brief. The Henry J. Kaiser Family Foundation. Retrieved at http://files.kff.org/attachment/Issue-Brief-Snapshots-of-Recent-State-Initiatives-in-Medicaid-Prescription-Drug-Cost-Control.